I don't fully agree with Tobias and really don't understand the zooming idea. For example, when I change from LoMap (or OAM V3) ZL 20 @ 75% to OAM Mapsforge V4 the zoom changes to ZL 18 @ 100% with the map showing the same area. That obviously seriously affects what items are displayed at what map size. Will I need to change all the zoom-min settings in the V4 theme or what? Follow the instructions above the line in the first post. Ignore everything below the horizontal line. 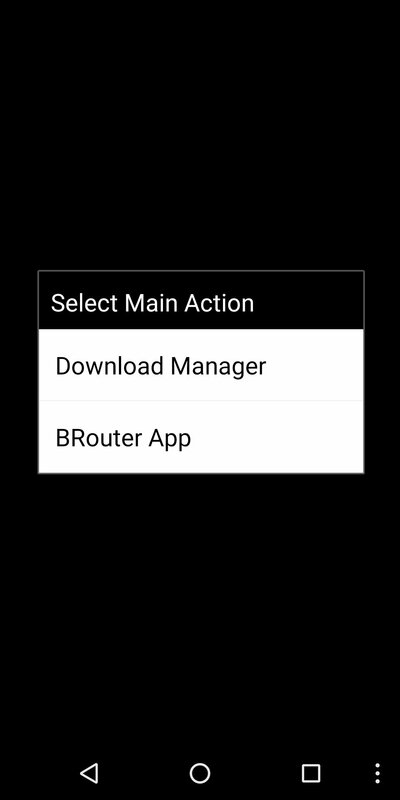 There is no need to generate your own routing data as you can download and install the two files you need directly from the two download links given. Thanks. I hadn't realised that. I've added a comment to the first post to point that out. Summary: Continued improvement in Mapsforge v 4 theme. Better and more specific displays of mountain huts and shelters, especially with Hiking style. Improvement with display of contours, peaks, tunnels, mini roundabouts, toll roads, national borders and more. I have just checked in Locus. Using BRouter navigation in Locus, I can choose between Locus profiles (from @poutnikl, I believe) and BRouter profiles. The Locus profiles can be further customised using advanced settings. By experiment, it seems to me that by default the various Locus walking profiles take scenic routes while the built-in BRouter profile takes the shortest route, as @poutnikl says. Again, by experiment, it seems that the BRouter standard profile "Shortest" is its standard walking profile. So Locus can be readily customised to offer a shortest walking route and a pleasant walking route, if one should so desire, as in the setup screen below. For details of how to do this, I refer you to the manual! Troubles & Questions / Re: Brouter. Where it disappeared? Troubles & Questions / Re: map zooms in and out without doing anything (GPS is on) !?? Car routing data is not currently available as it does not work satisfactorily (I presume). This seems to work fine with the Locus add on (link in the first post again), though avoid highways/tolls/unpaved road options are not available.